We are only a few weeks away from SGIA 2018 in Las Vegas! This years show will feature over 550 exhibitors and is sure to be a grand exhibition! 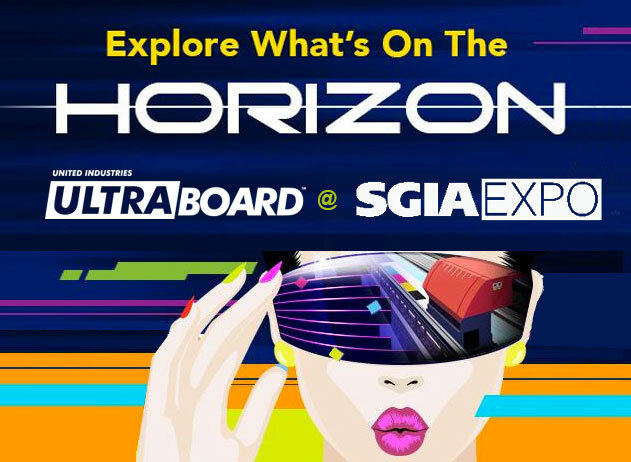 Join one 25,000 registrants to see the hottest new technologies and innovations to available to the sign & graphics industry. For your convenience here is the basic info concerning the show, as well as an exclusive invite directly from United Industries UltraBoard. Simply click the “Register Now”, link below and visit the show- on us! This entry was posted in Community, Industry News, Press Releases, Sign Business, Tradeshows and tagged exhibits, sgia, sign industry, tradeshows.